As the European Medicines AgencyÃ¯Â¿Â½s new PV (pharmacovigilance) Legislation implementation date of July 2012 approaches, US and European pharmaceutical and biotech companies need to ask themselves if they are ready for the changes that lie ahead, says Paul Beninger, MD, FACP, Vice President, Global Patient Safety, Genzyme. The goal of the PV Legislation is increased access to information and greater transparency of processes, in the wake of the French company ServierÃ¯Â¿Â½s Mediator scandal. Licensed as an add-on for hyperlipidaemia and diabetes, but used off-label for obesity, Mediator reportedly caused 500 to 2000 deaths in its 33 years on the market. The new legislation aims to prevent similar drug safety issues from lying undetected for so long. Ã¯Â¿Â½The implications of the PV Legislation are extensive, with implications for both US and European drug manufacturers,Ã¯Â¿Â½ according to Beninger, a speaker at the upcoming marcus evans Global Pharmacovigilance & Adverse Event Reporting Conference. US companies also need to be aware of the recent Investigational New Drug (IND) Final Rule, and the upcoming New Drug Application (NDA) Final Rule and manufacturing supply chain regulations. Ã¯Â¿Â½Companies must take this very seriously and figure out a way to get adequate control of their supply chains,Ã¯Â¿Â½ Beninger adds. Ã¯Â¿Â½There has been a paradigm shift from Ã¯Â¿Â½safe and effectiveÃ¯Â¿Â½ to Ã¯Â¿Â½benefit-riskÃ¯Â¿Â½ over the last decade in evaluating new medicinal products for human use, with emphasis now on risk-management: risk identification, risk assessment, risk mitigation and risk communication. All organisations now need to cover all of these functions, no matter their size. Ã¯Â¿Â½Companies should consider how audit ready they are. That has implications for many of their activities. Being audit ready is one of the most important responsibilities that the PV department has. It must be ready to answer any question that an auditor may have. This is more than just compliance, but about all of their processes. Companies need to ask themselves one question: Are they audit ready?Ã¯Â¿Â½ Beninger concludes. 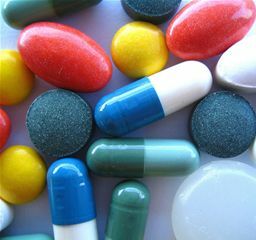 The 2nd marcus evans Global Pharmacovigilance & Adverse Event Reporting Conference will take place at Le Meridien Cambridge, Cambridge, MA, May 22-24, 2012.